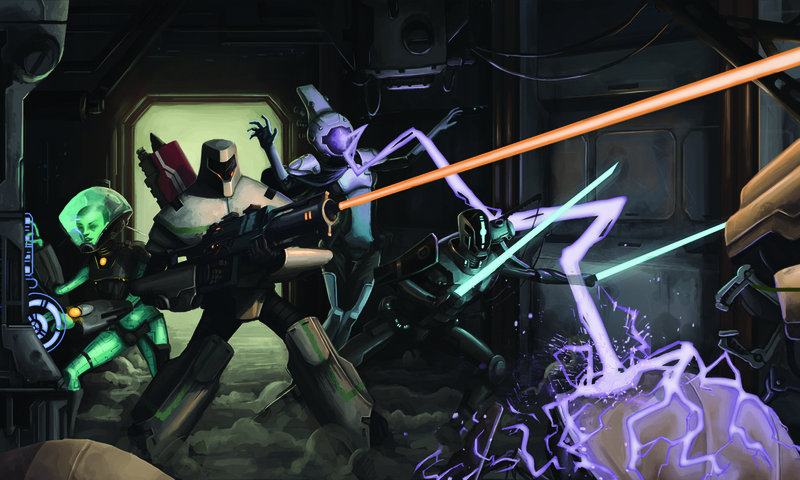 StarCrawlers is a modern take on a classic cRPG dungeon crawler set in a gritty spacepunk universe. Build a crew of renegade adventurers on the fringes of space, taking jobs from megacorps to hunt bounties, sabotage rivals and conduct corporate espionage. Run a crew of renegade adventurers on the edge of deep space, taking jobs from megacorps and navigating the intricate politics of wealth and power. Solve mysteries, uncover corruption and help shape the fate of the universe with your choices! You’re a Crawler, and that means you work for those that can pay. Asset recovery, commercial espionage, and mayhem for hire are just a few of your crew’s specialized services. If something shady needs doing, chances are a Crawler will be involved. Succeed and you’ll be rewarded with better pay then any corp drone can dream of. Plus, you’ll earn the respect of the eclectic assortment of merchants, opportunists and adventurers who make their home in the fringes of space.